The number of email users have grown exponentially over the years, and there’s no sign that it will be stopping in 2018. Studies have shown that almost 90% of American consumers use email, and 65% or more have bought something online due to promotional emails. This means the future of marketing relies on data-boosted content marketing. If you want to keep up with your competitors, you should watch out for these email marketing trends that are expected to dominate next year. Marketers forecast that emails will show increased interactivity in 2018, with the goal of making them fun to read so engagement rates are increased and bounce rates reduced. One of the best ways to do this is to enhance emails by including image galleries, quizzes, GIFs, countdown timers, and add-to-cart capabilities. Quizzes and GIFS will lead to increased customer footprints while countdown timers create a feeling of urgency that will push recipients to take action within a stipulated time-frame. Meanwhile, including an add-to-cart function will shorten shopping time and enhance brand experience. It’s a given that artificial intelligence (AI) and machine learning technology will be a big part of the future. As a matter of fact, numerous tech companies have already invested heavily in developing AI technology that will make lives easier. Email marketing is one area that will reportedly benefit from machine learning. It’s expected that machine learning programs can assist companies and email marketers by suggesting ways on how to better segment email lists, incorporate product recommendations and design more personalized emails that target specific customers. The trend of using HTML-powered email templates with images is over. Instead, 2018 will see the rise of plain-text emails. Researchers have found that this style of email is more effective than the HTML ones. Marketing campaigns using plain text emails have been found to have higher delivery and open rates, as well as better engagement numbers. Marketing specialists have theorized that plain text emails look the same across various gadgets and look more personal. Recipients don’t have to open a browser to read a plain-text email. They’re also easier to format for mobile devices. More than half of emails are opened on a mobile device, and 2018 is expected to be the year when emails will be designed with mobile formatting as a priority. Pretty soon, companies will be obligated to have a responsive design when it comes emails. This trend won’t be limited to emails though. Subscription forms will also become more mobile friendly while articles will start wrapping up their content with an email signup form to boost conversions. Gmail is becoming the primary inbox provider for a lot of companies. Therefore, most customers on subscriber lists have a Gmail address. But due to Gmail’s system of filtering email, it becomes imperative for businesses to think about how it will be placed in the inbox. 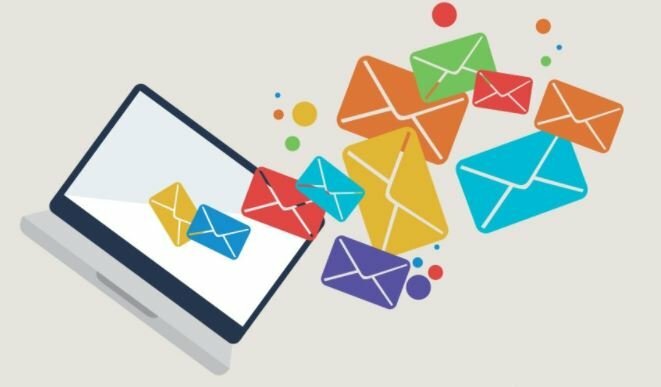 In order for marketers to optimize clicks, opens, and conversions, they have to pay more attention to who they are emailing and how they’re sending their email.Questions like whether the subscriber is actively receiving and interacting with the email and whether they have economic value should be answered. Likewise, the frequency of emails sent, the order, and even the time that they’re sent becomes more significant. However, the upcoming year will see more companies using more robust analytics to optimize results and foregoing conventional rules like not sending mail to those who haven’t clicked or opened an email in the past three months. The year 2018 will see more emails that are deeply personalized and utilizing advanced automation technologies. The integration of AI and machine learning will also help marketers to harness the power of email marketing and use it to further their business.